My first experience of the Company's London Offices began in the city Banking Department; housed in a dark suite of rooms located in Cannon Street and staffed at that time by W. E .(Bill) Randall, the manager and later director, Alec Booker, the city manager, Johnny Johnston and John Green-Wilkinson, both assistant city managers, Ronnie Milbourne, Mervyn Williams and Ron Brown, the clerk. I was given the Midland Bank to service as my joint stock bank, plus some forty merchant banks, which would be serviced by calling on them twice per month. My task with the Midland Bank was very straightforward and undemanding. The only excitement provided was following bank raids (of which the late 1950s saw many). Whilst the Midland Bank was probably unfortunate with the number of these attacks, I felt myself very privileged to be allowed to handle the work involved in the rapid replacement of their security equipment. This required close liaison with the factory, the London Service Department and the bank staff, teaching me to pay close attention to detail, whilst working under pressure. All good experience for my later career. Towards the end of my time in the city, where I was required to have the city uniform of bowler hat and furled umbrella, the bank installed a large safe deposit in one of their Leicester premises and again, this experience stood me in good stead for my later time in export as safe deposit installations were quite uncommon in the home market but very frequently encountered overseas. The best experience however, came from twice monthly expeditions to call on my merchant banks. Naturally, when it was learned that I was to join the department, Bill Randall had instructed that the other staff were to give me some of their merchant banks and human nature being what it is, they had taken the opportunity to weed out what they felt were their 'no hopers'. So very shortly after I joined the department I sallied forth on my first day's calling in the city. Looking for the most promising call to make, I shuffled through the handwritten record cards I had been given and chanced upon one which had belonged to Mervyn Williams. This stated he had called some six months ago and a bank secretary had been interested in a piece of security equipment which would be required later in the year. 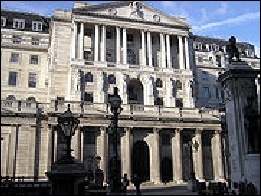 Very nervously, I entered the marble banking hall of this establishment and approached the frock coated bank servant. I quietly asked if he could direct me to Mr Green, the company secretary and was appalled as he broke into laughter and said very loudly, "see Mr Green, young man, that will puzzle you, he has been dead these last two years". His laughter broke the ice however and he directed me to the secretary's office where I was very pleasantly received. Arriving at the office the next morning, I taxed Mervyn with his entry on the card but he merely smiled and stated that one had to write something! Johnston listened to this exchange and called me over to his desk telling me that although we were supposed to call on our merchant banks, he recommended that I went for walk along the Thames, watched cricket at Lords or merely went shopping on my two days out of the office. I was appalled at this advice from a senior member of staff, but found out in later years, this was very much the ethos of those times, amongst many of the older staff. I continue to call as required and had a number of successes which brought me into direct contact with Bill Randall and taught me much about man management. One of my private banks was Comptoire National Descompts de Paris and after two or three calls on the secretary, I was able to obtain some service work and the promise that I would be allowed to quote on their next security requirements. Hobbs Hart Ltd., one of our newly acquired subsidiaries, was still operating independently and selling equipment to banks in their own name - albeit manufactured in a Chubb factory. They had a bank sales manager, a man called Turner, who had a severe limp and was often seen in our Cannon Street office. After one call to see Bill Randall, my internal telephone rang and I was instructed to immediately report to him, bringing with me my private bank calling records. He asked whether I knew of a bank called Comptoire National and being advised that I did, I was instructed to show my calling record; this showed three calls made, service work obtained and the prospect of a quote. Randall smiled and advised me that he had just received a visit from Turner of Hobbs Hart who had complained of his Chubb staff poaching one of his established clients. I immediately apologised and stated that I had not realised the bank was a reserved client and would immediately desist. Randall smiled even more and said "Consider that I have given you a bollocking on behalf of Mr Turner but be aware that you will get an even greater bollocking from me if you stop calling on them". My feelings regarding Johnston's instructions to go to Lords or the cinema on my private calling days were immediately justified and I knew that if I honestly tried as hard as I could in my sales efforts, I would always have Randall's support and so it proved years later. One of the more amusing experiences during my stay in Cannon Street, related to the price list for bank customers. This was based on a published home sales price list, less a discount for large customers. At the time, inflation was fairly low and the work's costs did not vary by much from year to year. Having just received the latest work's costs, Bill Randall was anxious to check his margins on banking sales. With this in mind, he entered the sales office one morning and enquired if anyone had some free time. I immediately indicated that I was not particularly busy, Midland Bank being a very straightforward client to service. Handing me the work's costs sheets, he indicated what he required. At that time, pocket calculators did not exist, calculations normally being carried out by comptometers, which required specially trained staff to use them. 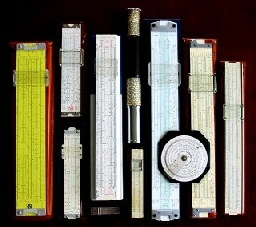 As an engineer however, I always used a slide rule for calculations and thanks to my father's generosity, had a very accurate Denert and Paper plastic rule in lieu of the much cheaper wood and plastic Pic rules then generally in use. Nothing was simpler for me than to set up the numbers on the rule and run through the hundred or so calculations in great style. Approximately an hour later, I knocked on Mr Randall's door and offered my completed work. He looked surprised but apart from asking me how I had done the calculations, made no comment. I later learned from Ron Milbourn, that he normally did this work using a percentages book; the task usually taking about two weeks to complete! Some 30 minutes later, the telephone rang, the white light showing, which indicated that Randall was calling. With some trepidation, I answered and was told to go to the inner sanctum. There I was told that my slide rule calculations were inaccurate. This was rather like telling the Pope that he was a Jew, as I had lived with a slide rule in my hand for years and considered myself to be very fast and accurate. With the naivete of youth I demanded to know where the errors occurred. Mr Randall produced a battered old Pic, and proceeded to show me using a method of calculation I could not understand. I took the rule from his hands and tried to use it but unless used daily, the wooden slides of the Pic became very sticky, making the rule inaccurate. Throwing down the Pic, I marched out of the office to collect my own rule and demonstrated that my calculations were accurate. After a few minutes reflection, the boss had the courtesy to smile and agree that I was right and he wrong. It was the start of my lifelong regard for him and for his part, he obviously never forgot, as on many occasions thereafter, before calculators became available, he often asked me to do fast calculations for him. During the remainder of my stay in Cannon Street, I had several successes and one embarrassing failure with my private banks. 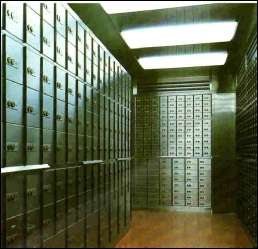 The failure still rankles in my mind as the bank was a bullion dealer who possessed a number of rather old Chubb safes. I had several times spoken to the secretary about the purchase of a large and very secure modern unit but apparently without much success. I was extremely pleased therefore one day to receive a telephone call asking me to call immediately. On arrival, I found that one of their safe combination locks was defective and immediately arranged for a service engineer to call and attend to the problem. Unfortunately for me, the engineer sent was a man called Smith, who had a somewhat bizarre sense of humour. The bank secretary was extremely pleased at the prompt attention and told me that the board had been considering the purchase of the safes I had recommended. During our conversation he enquired, as many customers would, how secure the new unit would be. I explained that it would be the most up-to-date unit Chubb produced and therefore very secure. He persisted however, wanting to know how long it will take for someone as skilled as our engineer to open it. Before I could comment, Smith interjected, "More than five minutes!". Unfortunately, the secretary did not see the humour of the remark and neither did I as the potential sale was lost and I never recovered the situation during my remaining months in Cannon Street. The bank raids continued and at the Stoke Newington High Street branch of Midland bank, a raid occurred which became historic. For the first time, as far as Chubb were aware, a team of burglars used a cutting device known as the Oxy Arc cutter. This device had been developed by British Oxygen, mainly for use in scrap yards where, following the war, many armoured vehicles were being sent for scrapping. The tool, which used a combination of the electric arc welder and oxygen, enabled the operator to penetrate armoured steels and by making a series of holes and washing these together, cut the armour into pieces. The raid was a total success as the vault door was penetrated and the contents of the strong room stolen. The use of this specialist tool, however, was the downfall of the burglary team as British Oxygen had a record of all the sets which had been sold. The irony of the story is that the door was a fairly lightweight pre-war model and the bank had already listed this door for renewal. The use of a standard Oxy Acetylene set, would have been just as successful and as these sets were far more common, it is unlikely that the police could have traced the gang, in the way that was done. One moment of light relief occurred about this time. For the very first time, the banking division sales achieved more than 1,000,000 pounds worth of business in the year and the Chairman, Lord Hayter, took the whole department for a celebratory dinner at the Constitutional Club. It was a very pleasant evening with a delightful meal but unfortunately, accompanied by a great deal of wine and port, to which I was not accustomed. Catching the last train from Liverpool Street to Cheshunt that evening, I unfortunately fell asleep and awoke far past my stop. On alighting from the train, I asked one of the station staff the time of the next train back to Cheshunt. I was advised the following morning. I then enquired whether there was a taxi I could hire but was told there was none. In despair, I asked to be shown the correct road to Cheshunt and set out to walk. It was approximately 17 miles and at 4am I arrived home foot sore but very sober. I made sure it never happened again. For the last six months of my stay at the banking office, I was given more work helping John Green Wilkinson with Nicholson pre-cast block strong rooms, which Barclays were erecting in many of their branches as part of their security upgrading. To facilitate the split of this work, Green Wilkinson, cleverly suggested that I should cover those branches, the name of which started with the letters A-M, whilst he covered the rest. At the end of my time with banking, when handing over my work, it was found that I had rather more pre-cast jobs in hand than Green Wilkinson, though he was still complaining of being overworked! The division of my work between the staff at the time of my departure, particularly the Barclays pre-cast strongroom jobs, lead to a very unseemly and ugly row between Johnstone and Green Wilkinson, neither party having any great regard for the other. It was the first time I had ever seen a grown man in such a tantrum and practically weeping with rage, but it was not to be the last time! Finally, in September 1959, I packed my bags in Cannon Street for the last time and departed for the Tottenham Court Road Head Office. My career in the Export Department was about to begin.